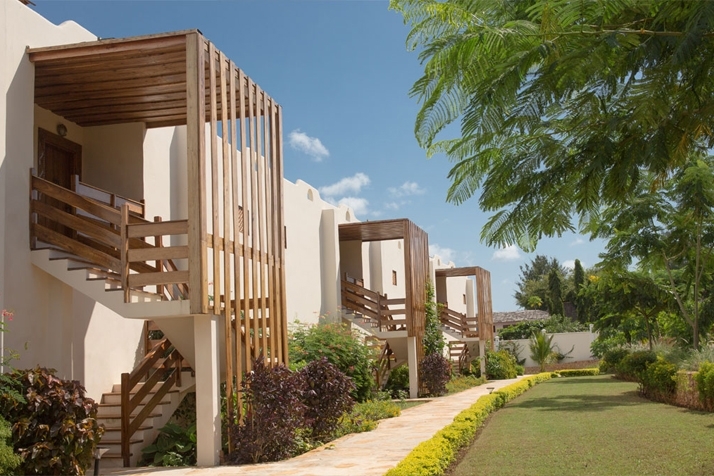 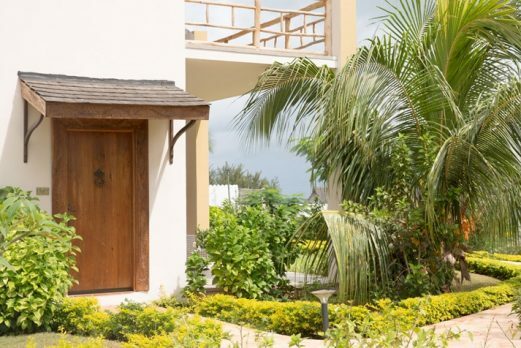 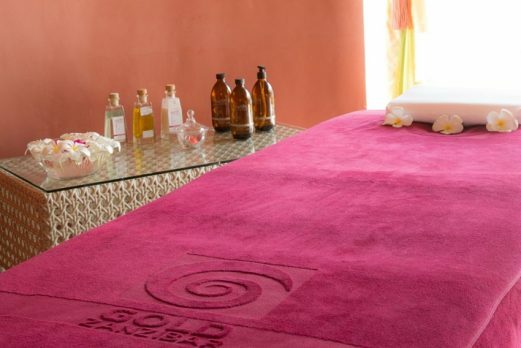 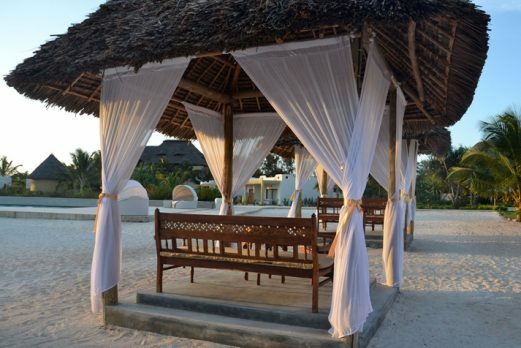 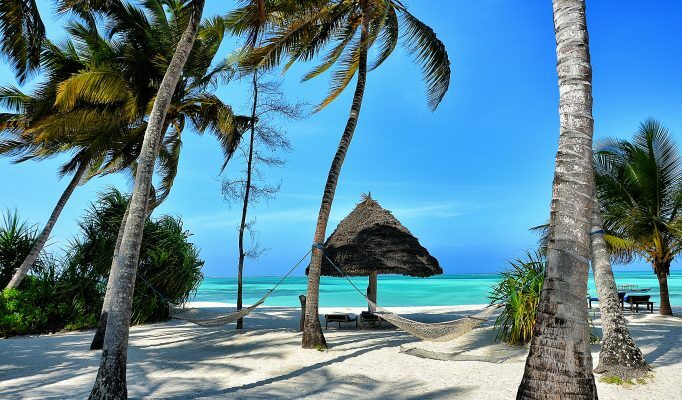 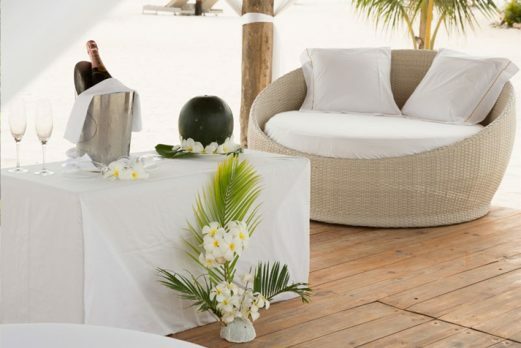 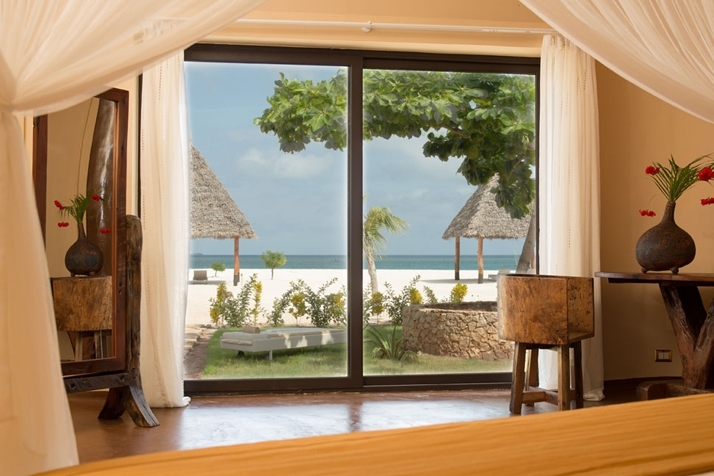 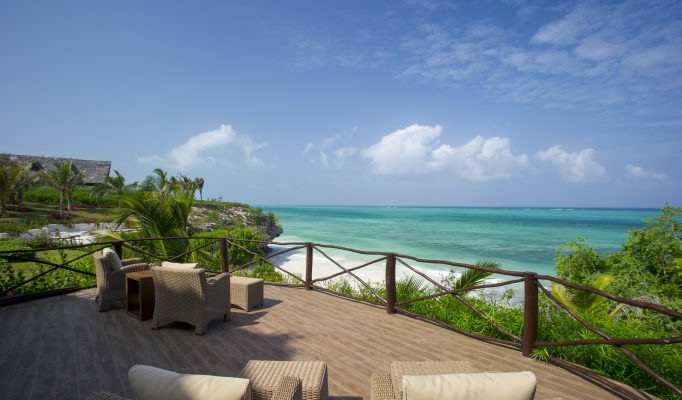 Gold Zanzibar Beach House & Spa is located on the long stretching white sands of Kendwa beach in the north west of the Zanzibar: one of the best beaches on the island. 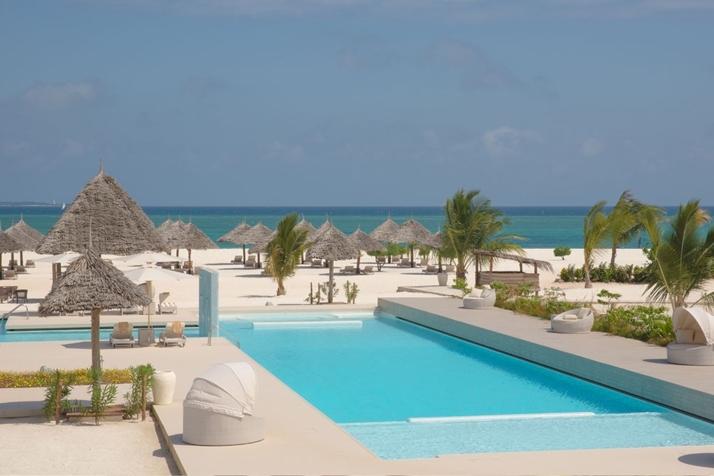 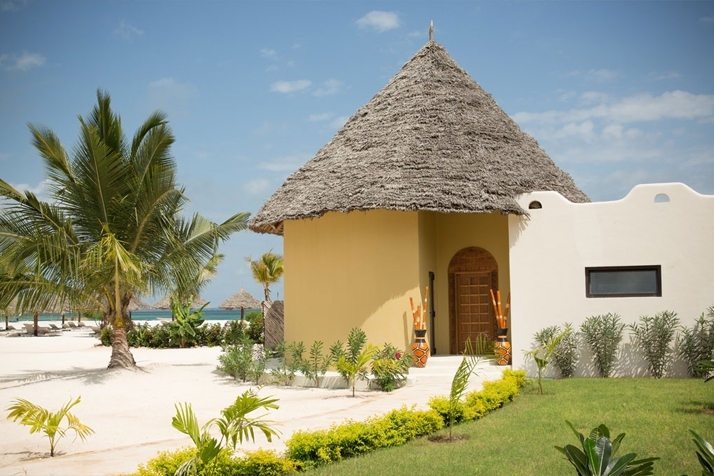 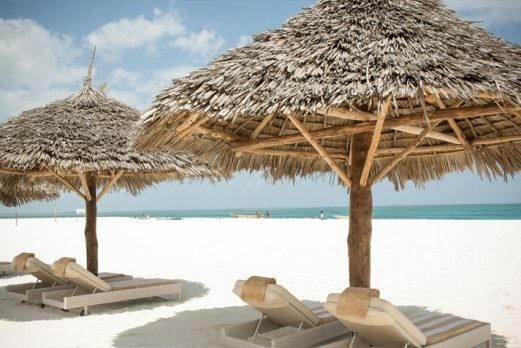 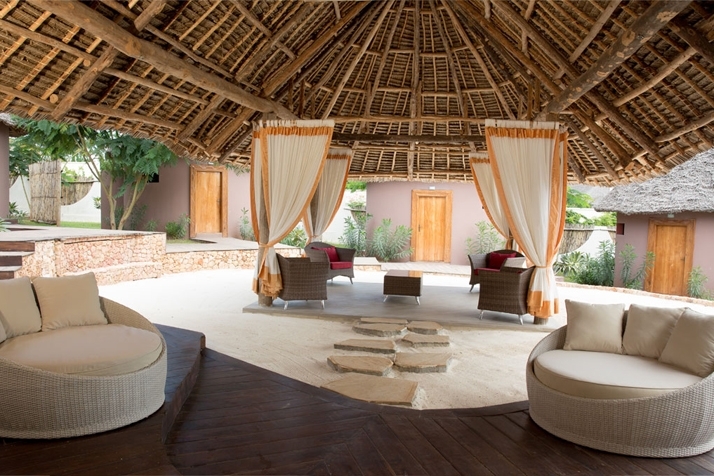 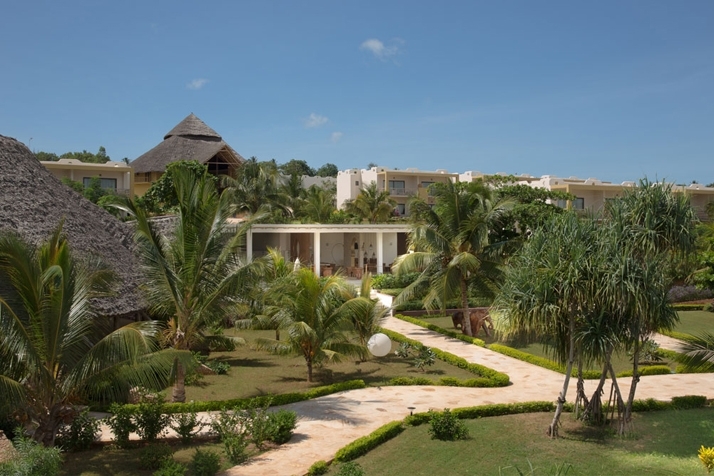 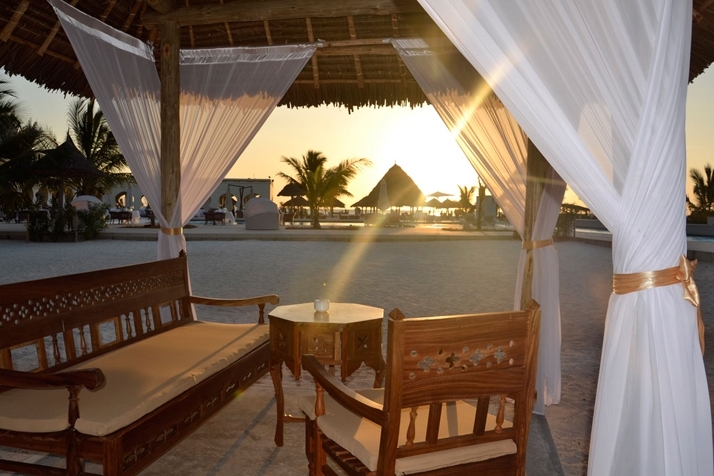 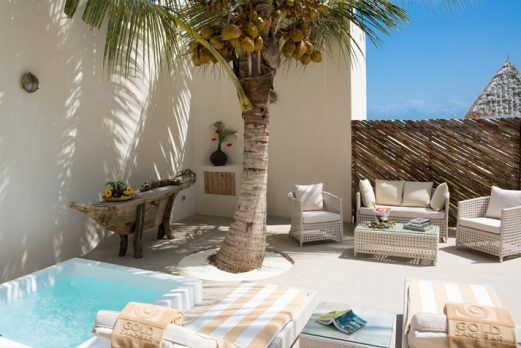 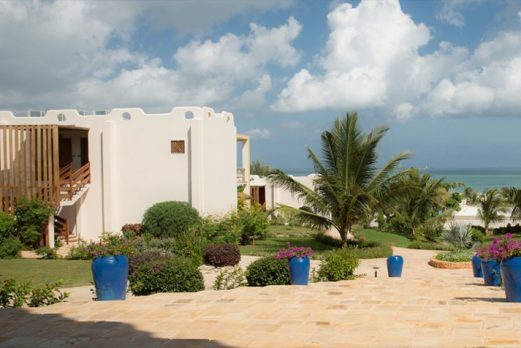 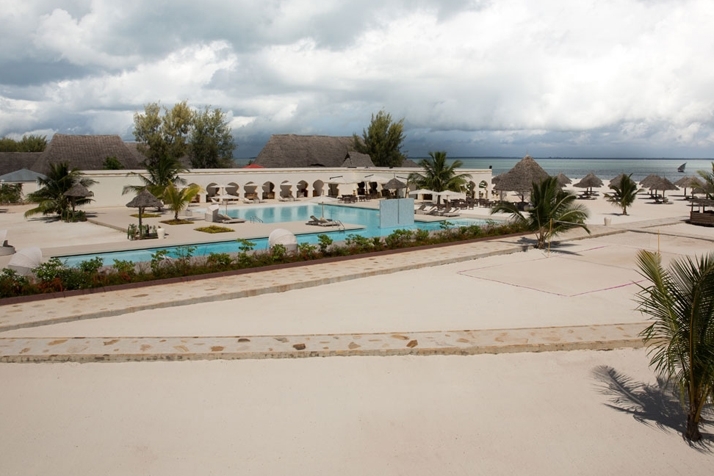 Gold Zanzibar is a resort on a sensational beach. 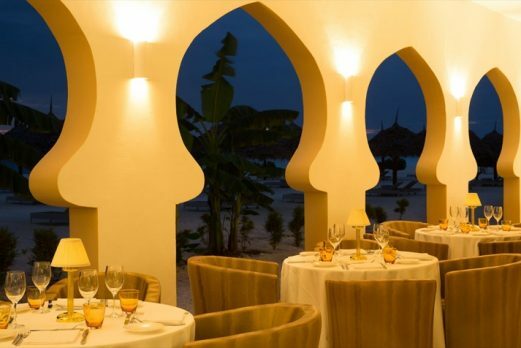 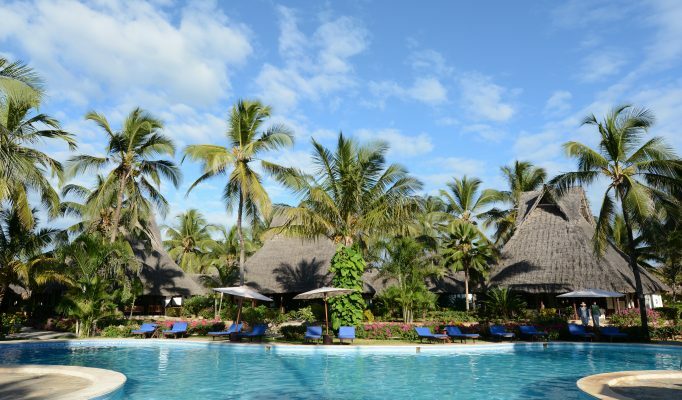 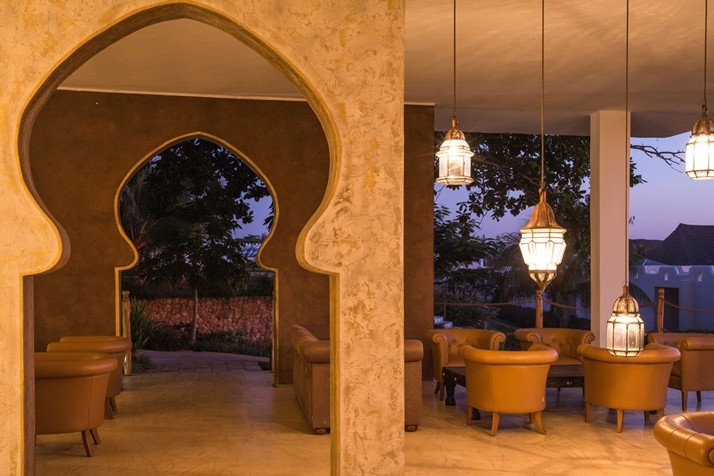 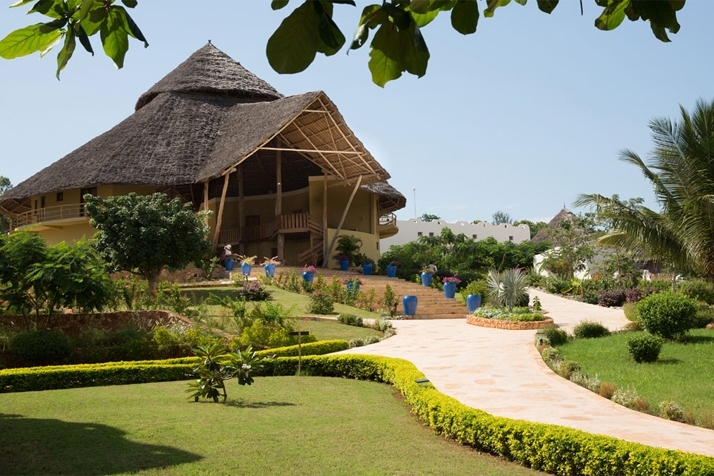 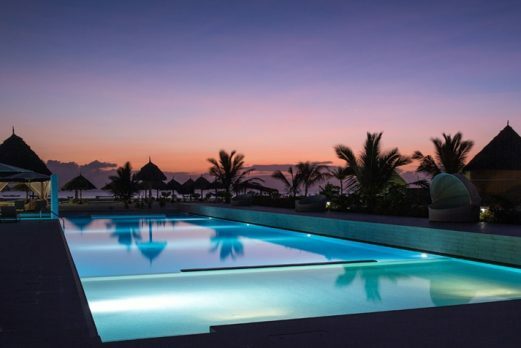 The Italian management of this hotel have worked hard to make it one of the most in demand places to stay in Zanzibar and booking early is essential over peak travel dates. 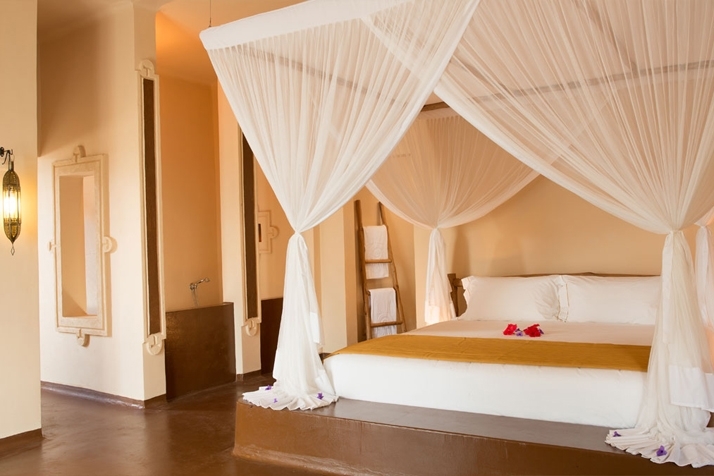 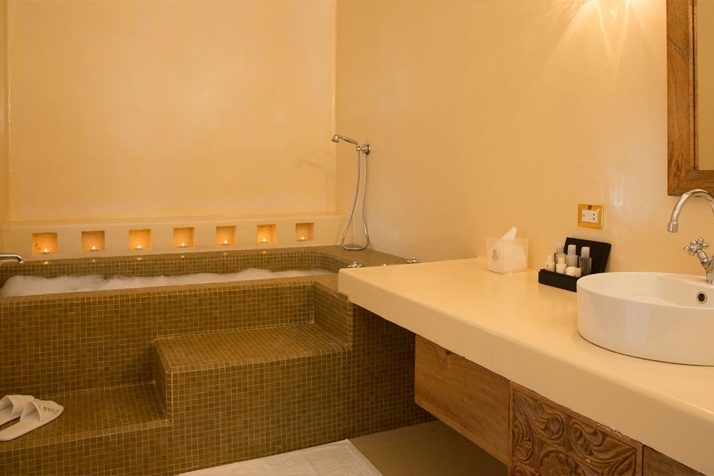 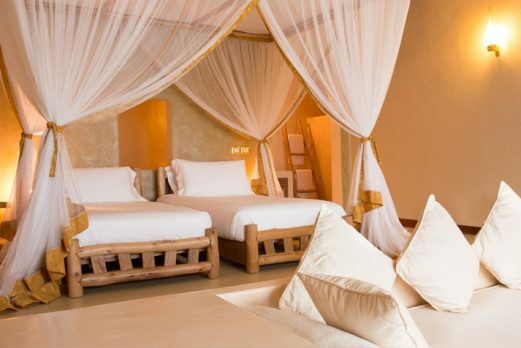 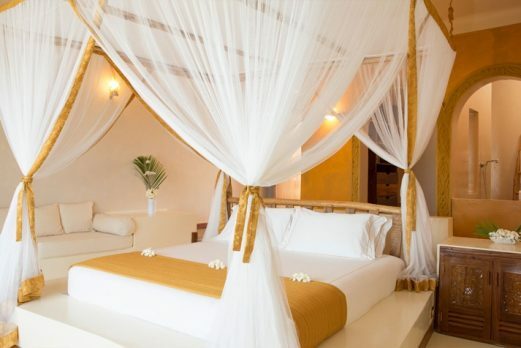 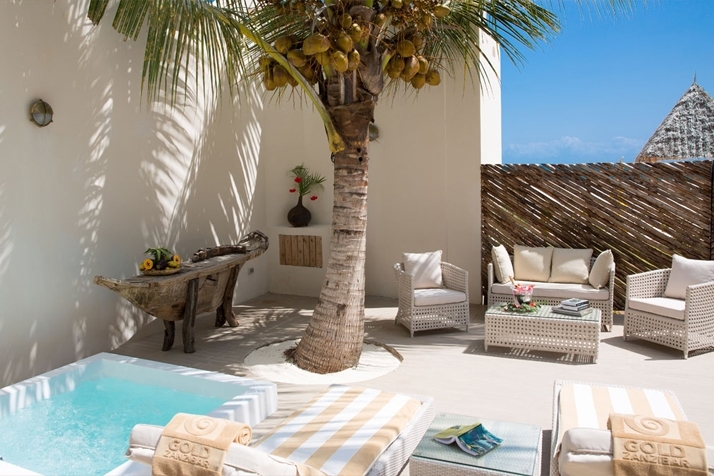 With only 67 rooms, Gold Zanzibar still very much has a boutique feel but offers the space for families to relax and play, and for honeymoon couples to find their own private corner. 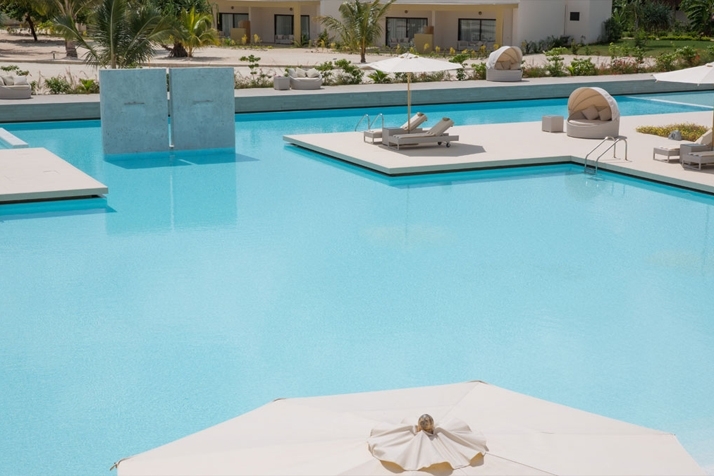 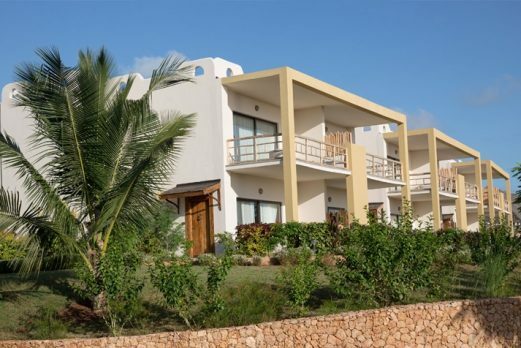 The all inclusive meal plan offered here is very popular and allows for your meals and house drinks to be pre paid before you arrive – great for families with thirsty children. 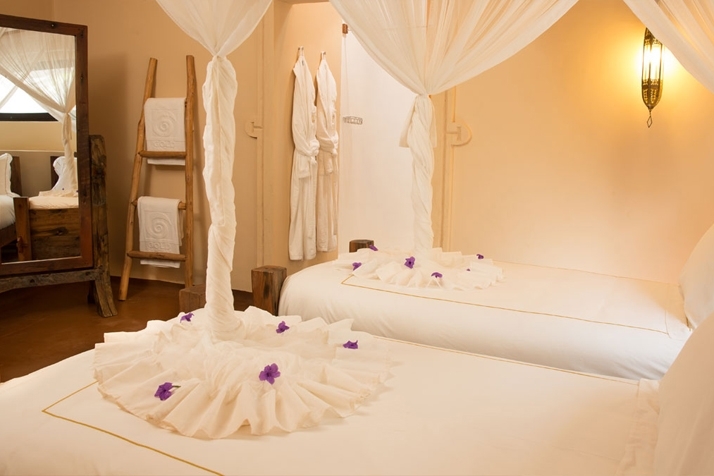 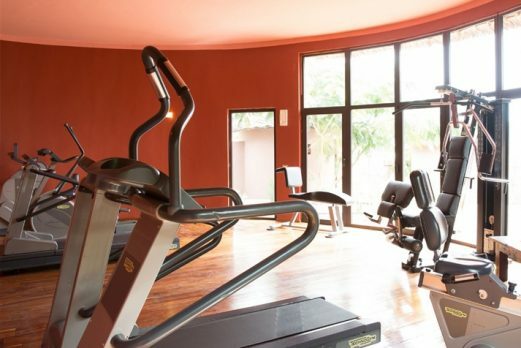 The rooms are extremely spacious and very comfortable. Each overlooks the pretty gardens, the pool and the sea in the distance, or there are also suites located right on that beach. 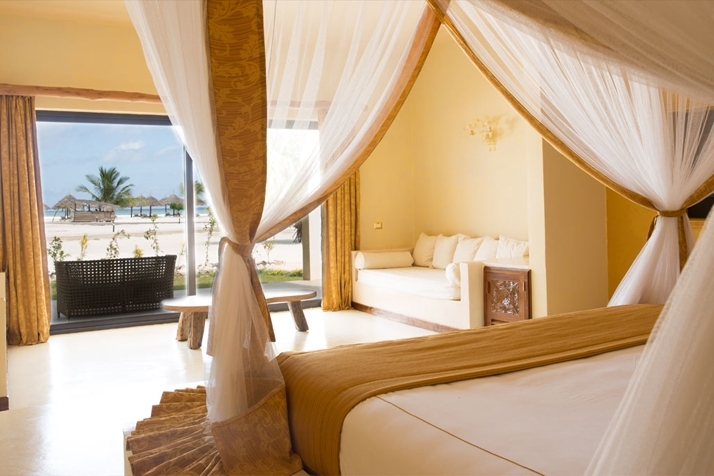 There are interconnecting rooms for families too. 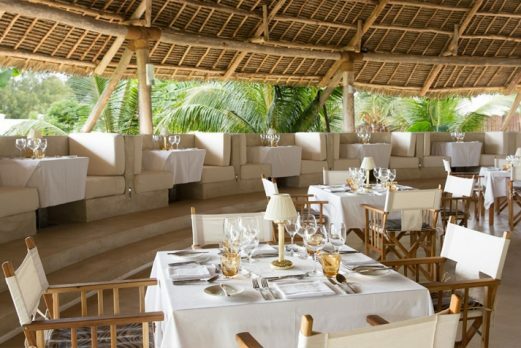 The main restaurant is airy and well set out with options to eat by the pool or small beachside restaurant. 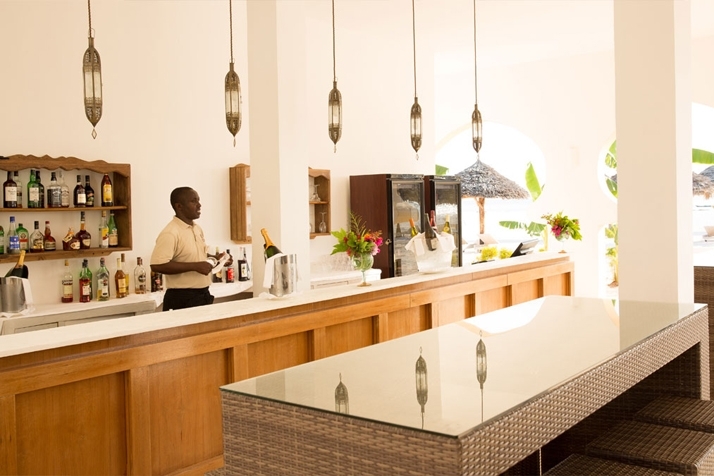 Food is largely buffet style but often cooked fresh to order. 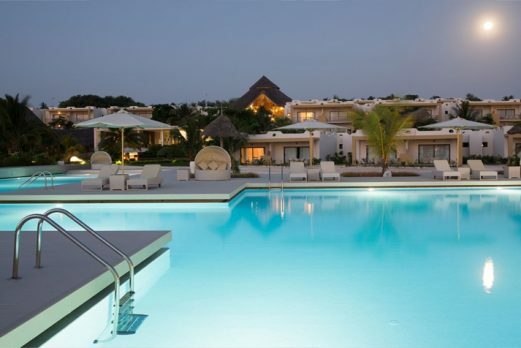 We recommend this hotel as a great option for those seeking both a touch of luxury and great value.